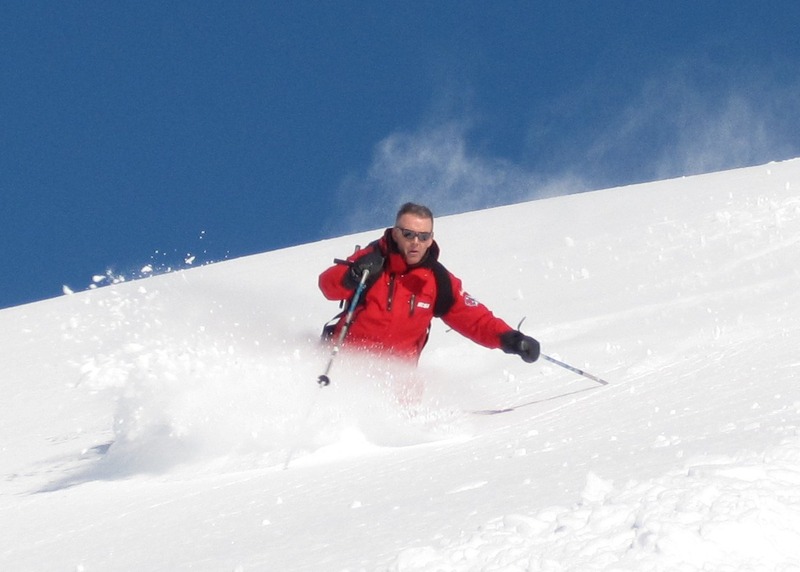 In our last blog Martin recounted how he'd recently enjoyed a wonderful day in the mountains. In this edition I remember one of my best days of last season including an exhilharating off-piste descent, lunch in a refuge and a return journey home by helicopter. It was while having a drink with a few friends that my colleague Ed Wooley, founder of the Parallel Lines Ski School and one of the guys i'd trained with in the long journey to becoming a fully qualified ski instructor, asked me "hey Mikey, what are you up to on Saturday? 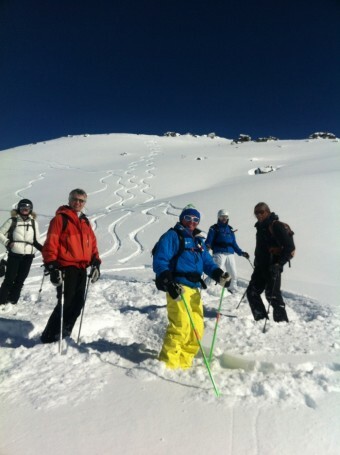 Fancy coming for a major off-piste day and a trip to the refuge at La Planchette?" Well, what's a guy supposed to say to that: of course I fancy it. Saturday dawned bright and clear with a forecast for a beautifully sunny day and I turned up at the Chaudanne in Méribel ready for the lifts to open with my avalanche transceiver and safety equipment. The rest of the group comprised of Paul Elder, another of the friends with whom i'd gone through the ski instructor training system and also a Parallel Lines instructor, Lady C (Caroline Sayer, of Merinet.com video snow report fame) two long-term Méribel residents, Ed Mannix and Simon Reeves and our guide for the day Ed Wooley. There had been a fresh snowfall just a couple of days before and we spent the morning playing around on a few of the off-piste routes that we knew in the Méribel and Belleville valleys. Around midday we were at the top of La Masse, above Les Menuires and ready to follow Ed to La Plancette, deep in the Maurienne valley. We set off into a white wilderness of untracked snow and skied for miles in perfect powder, stopping at intermitted intervals to take in the beautiful views and also for those essential "kodak" moments. Eventually our very hot and sweaty little group reached the refuge in the tiny hamlet of La Planchette, not far from the road to Italy and we could refresh ourselves with a large cleansing ale and few glasses of the local white wine as we enjoyed our lunch of charcouterie and local "crozet" pasta. Needless to say, spirits were high (oh, and I forgot to mention that a certain amount of génépi was consumed as a digestif as well) after such an exhilarating day and there were a few merry japes before the time came for Ed to summon our transport home....a helicopter! It was my first time in a helicopter and it was amazing to be swept over the terrain down which we'd skied, over numerous mountain tops and back to the Altiport in Méribel.